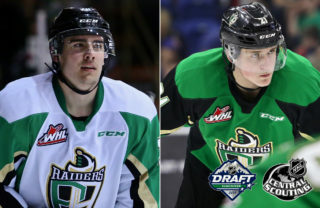 Prince Albert, SK – The Prince Albert Raiders hit the road for the first time in the 2019 WHL Playoffs this week as the best-of-seven Round 1 series shifts to Red Deer. 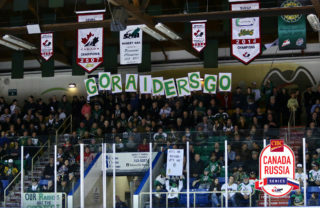 The Raiders lead the series 2-0 after winning both games on the weekend at the Art Hauser Centre. 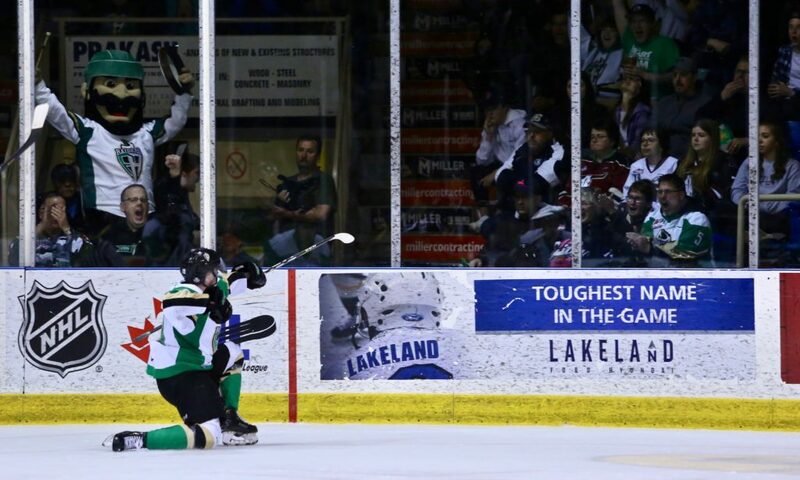 Ian Scott shut the door as the Raiders beat the Rebels 3-0 in Game 1 on Friday night. The next night, Aliaksei Protas and Sergei Sapego each had two goals and an assist to pace the Raiders to a 6-4 win in Game 2. 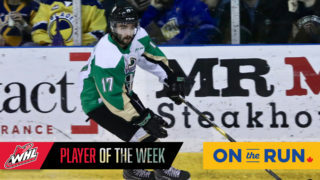 This week, the Raiders head to Red Deer for two mid-week games. Game 3 of the series will be played on Tuesday night at The Centrium. On Wednesday night, the two teams will clash again in Game 4. Both games begin at 7 p.m.
Head to The Rock And Iron Sports Bar for the official watch party for Raider road games. Also, listen to Trevor Redden on 900 CKBI. If necessary, the series will continue for two more potential games on the weekend. 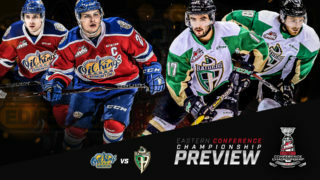 Game 5 would be Friday night in Prince Albert at the Art Hauser Centre. 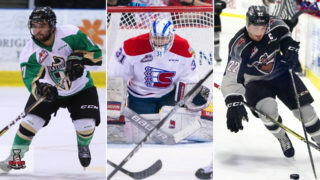 Puck drop would be 7 p.m.
A potential Game 6 would be on Sunday afternoon in Red Deer at The Centrium. 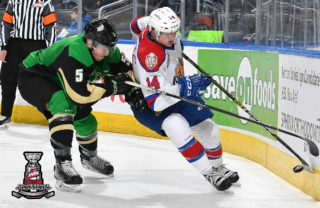 Game time would be 2 p.m.
Tickets for a potential Games 5 of the opening round series against the Rebels would go on sale the following morning if needed. For example, if a Game 5 is guaranteed to be played following Tuesday night’s game, tickets for Game 5 will go on sale on Wednesday morning at 9 a.m.